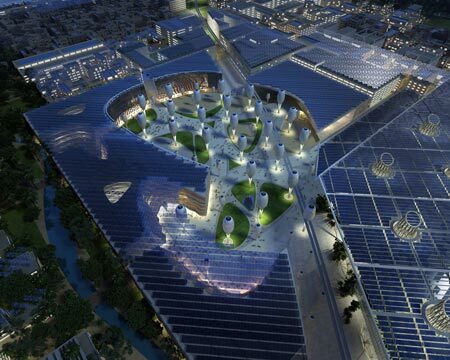 Tiromancino: Masdar city center. LAVA (Laboratory for Visionary Architecture). 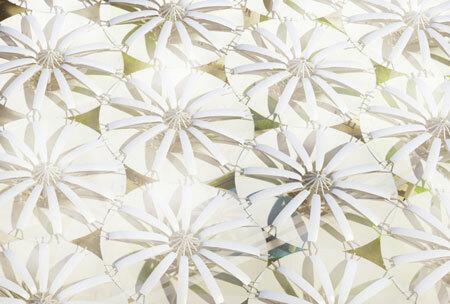 giant umbrella, with a design based on the principles of sunflowers, which are moving shadow in the day, the heat store, then close and release heat at night in the square of a new eco-city in the United Arab Emirates . 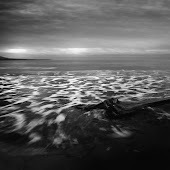 • Construction of angles of the front that can be altered to compensate and optimize solar heat. 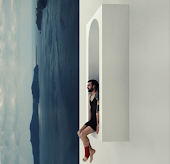 • The materials of the wall surfaces respond to changes in temperature and contain a minimum integrated power. • Water features can be stored underground during the day and night, spotting or heavy bleeding caused by passersby. 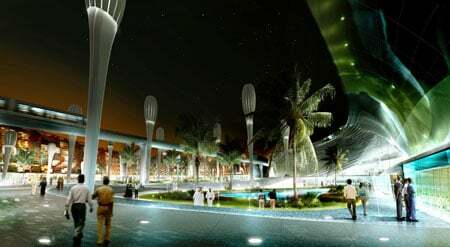 • interactive light poles, inspired by the fire of the oasis, transforming the square into a 3-D interactive installation media. • interactive technology heat sensitive light activated in response to pedestrian and mobile phone usage. • Vertical gardens, food production, power generation, water efficiency and reuse of organic food waste. 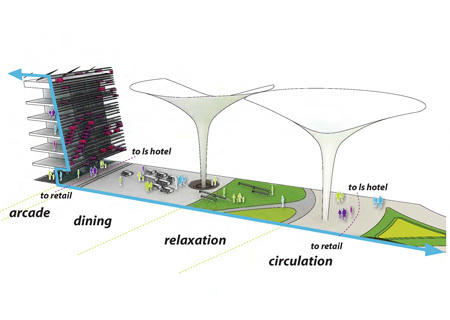 Mr. Wallisser said "the idea behind our concept is the use, inspiration, and the adaptation of nature and our plans to combine innovative design and sustainability." 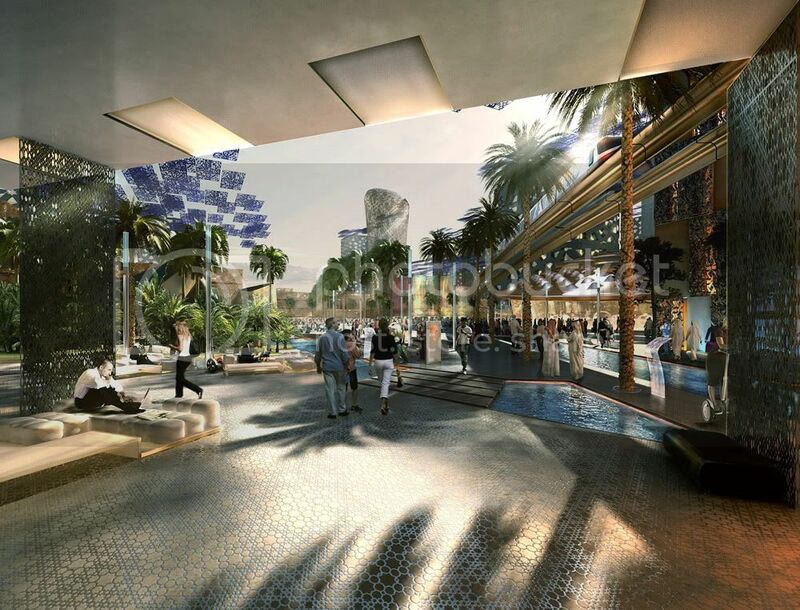 East and West come together in the plaza design inspired by both the oasis, as the epicenter of Arab nomadic life and emblematic square in historic cities in Europe. 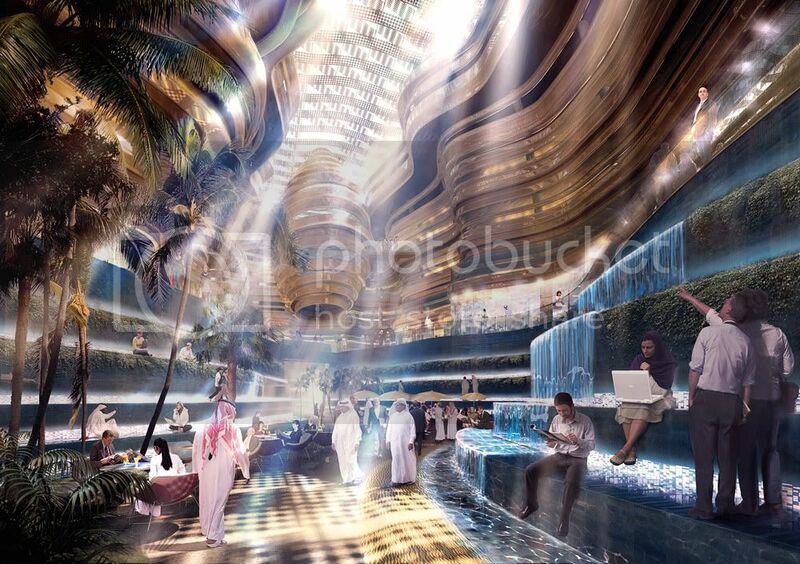 The organic shapes created by the forces of natural erosion in geographic landmarks such as deep canyons and wadis are the inspiration behind the design of key buildings in the city center. After winning the stage on January 1 this year, lava joined the Sydney / Dubai based Kann Finch Group, the engineering firm Arup (with Chris Bosse who previously worked in the Beijing Watercube) Transsolar (leader global energy consulting), and a team of international experts. 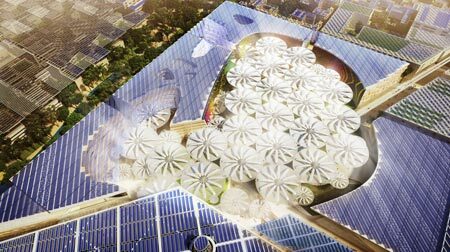 The umbrella of sunflowers are one aspect of the winning design by international practice Visionary Architecture Laboratory [LAVA] to the center of the city of Masdar in UAE - the first zero carbon, zero waste city powered entirely by renewable energy sources. 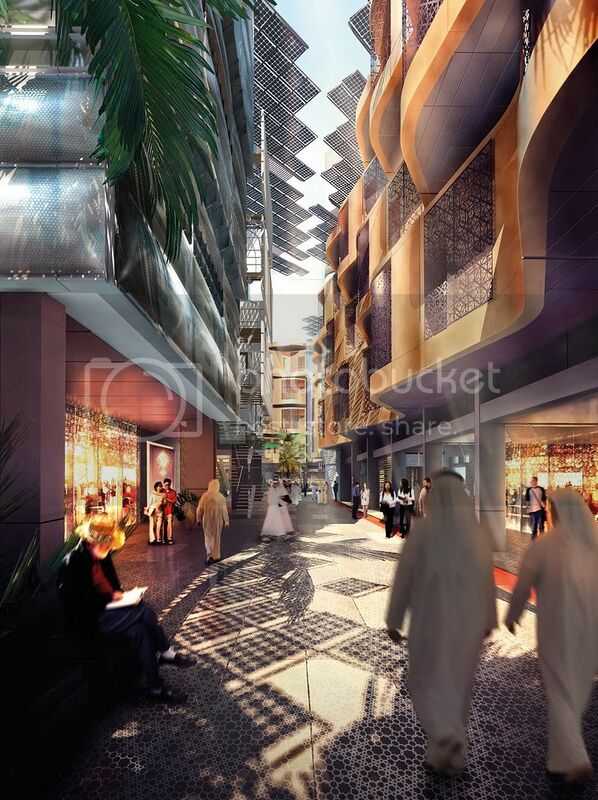 Masdar is a planned city located 17 kilometers from Abu Dhabi. 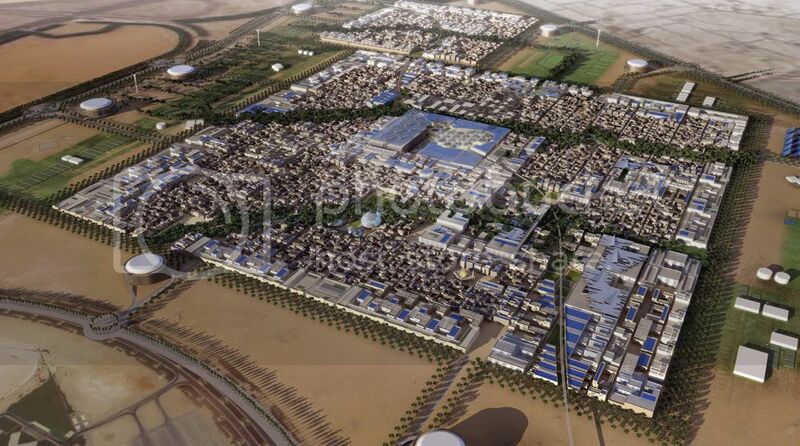 A government initiative, the city is being constructed over seven phases and is expected to be completed by 2016. 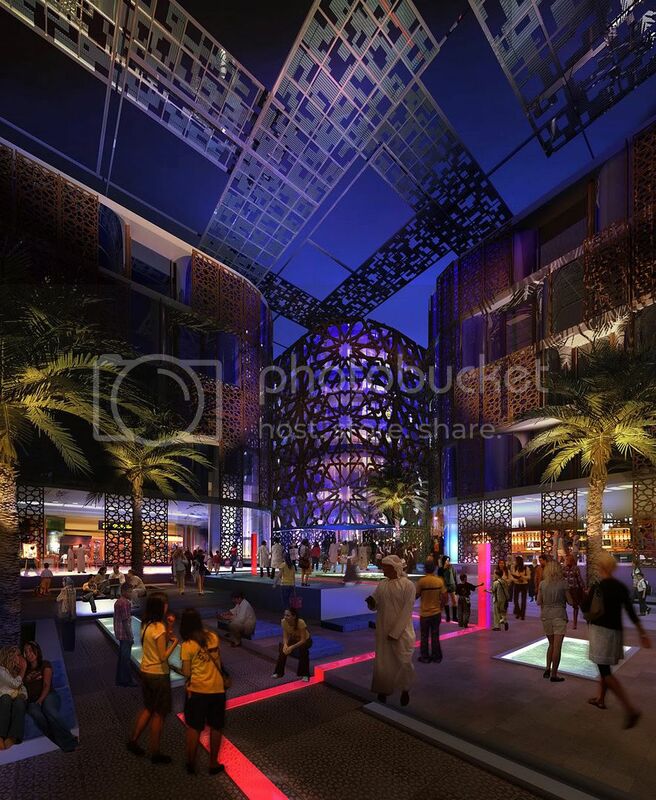 The downtown includes a square, five-star hotel, long stay hotel, a convention center and entertainment complex and retail services. LAVA design won an international competition against hundreds of entries and stiff competition from some of the architects of the world's most high profile. LAVA was founded in 2007 by Chris Bosse, Tobias and Alexander Rieck Wallisser and has offices in Sydney, Stuttgart and Abu Dhabi. 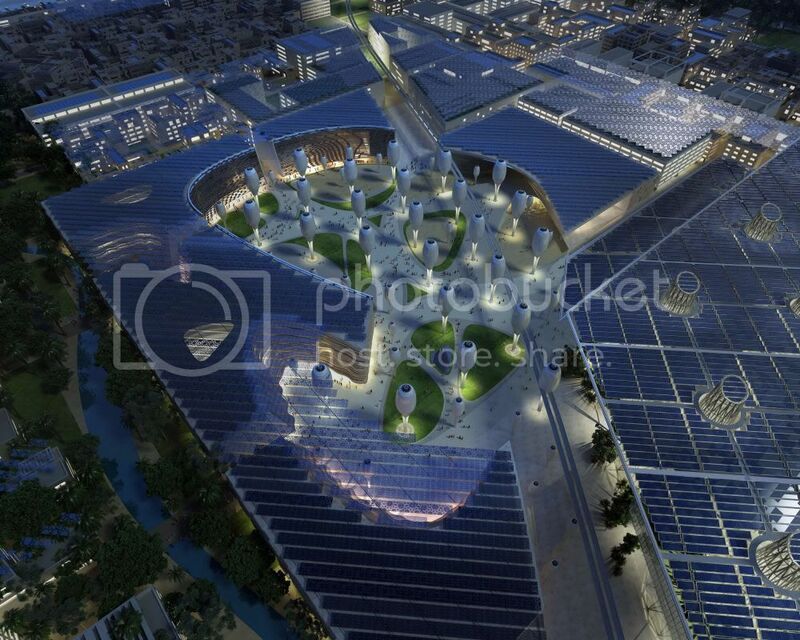 Chris Bosse, said: "Masdar City is the world's most prestigious project focused on the design of sustainable energy. 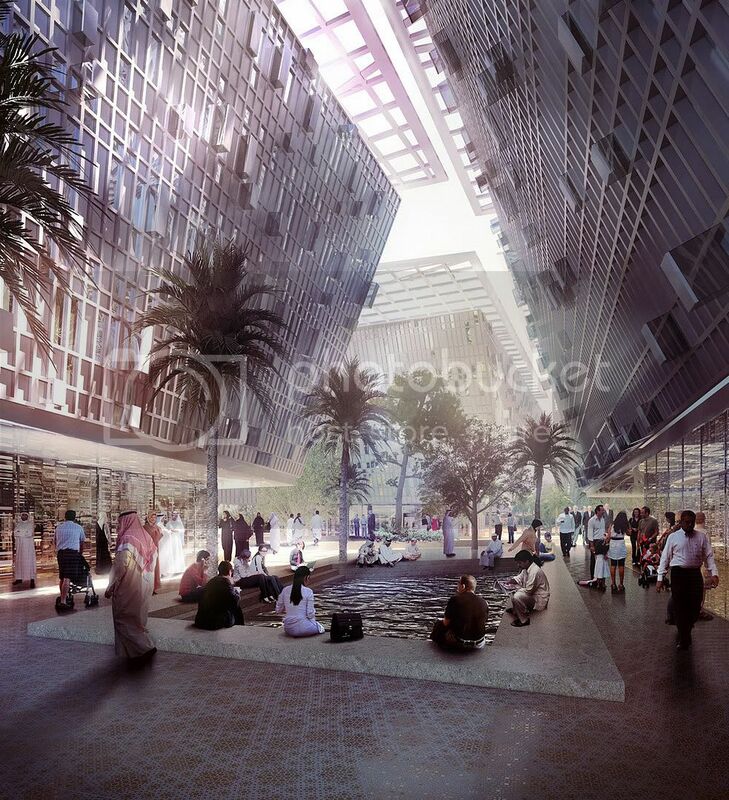 It is the city's future and a global benchmark for sustainable urban development. 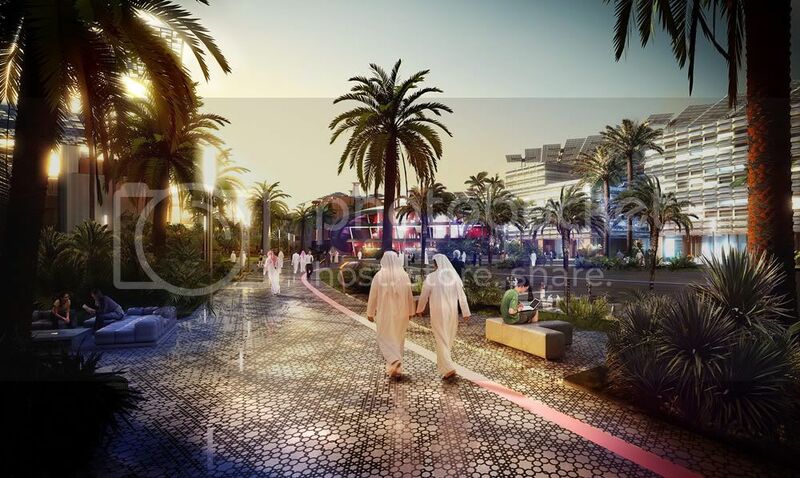 We believe in the motto of Masdar" One day all cities will be like. " The Solar Umbrella Sunflower capture sunlight during the day, sometimes releasing the stored heat at night and reopen the next day. 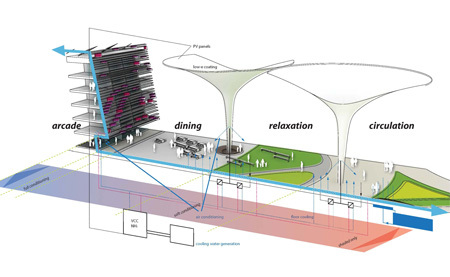 Following the screening of the sun to provide continuous shade during the day. Mr. Bosse said, "the principle of sunflower is environmentally friendly and it can adapt to anywhere in the world - that opens opportunities for outdoor life, even in the desert." 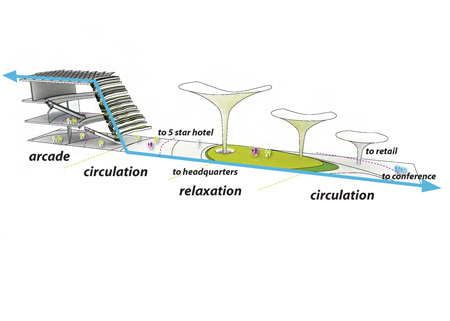 Mr. Rieck said: "The whole town is free of cars with a magnetic public transport system includes individual pods that take you to your destination using solar energy. 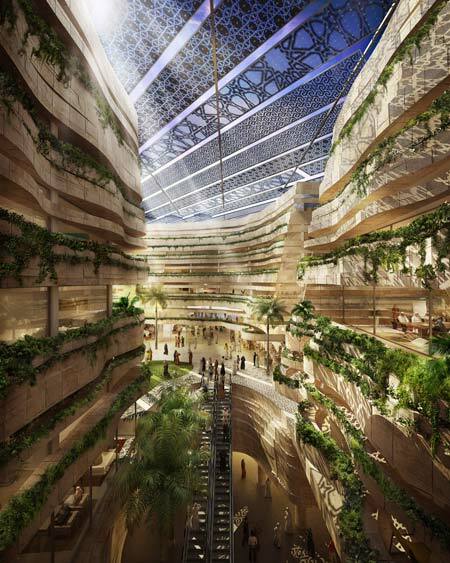 Laboratory for Visionary Architecture (LAVA) have won a competition to design the center of Masdar, a zero carbon, zero-waste city to be built in the desert near Abu Dhabi. 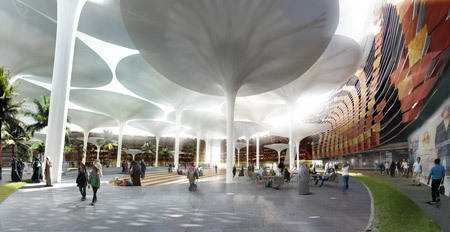 The center will have umbrellas based mobile giant sunflowers (above) that provide shade to a public square, as well as hotels, shopping and entertainment. 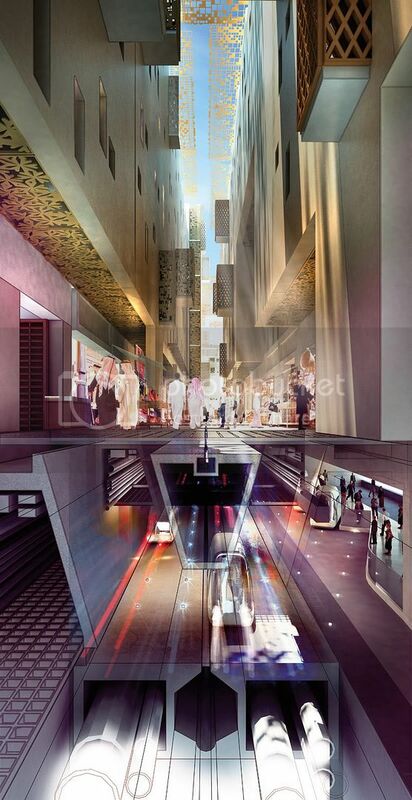 Masdar, covering 6 million square feet when completed, is based on the urban layout of the old walled city and aims to provide a plan for sustainable urban development. 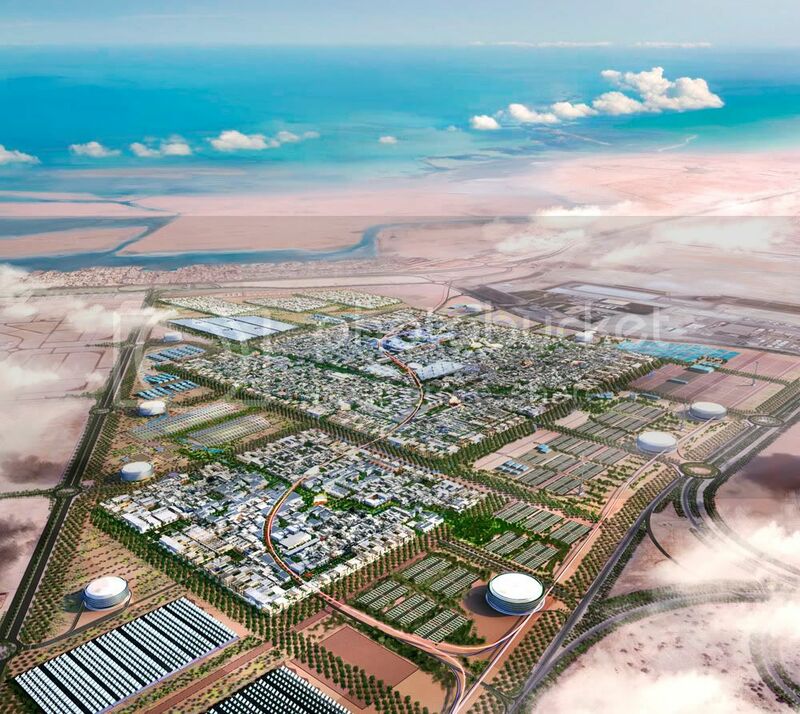 "As part of the Masdar Initiative, a strategic long-term commitment by the government of Abu Dhabi to accelerate development and deployment of energy solutions in the future, Masdar City will be sustainable development and living to a new level lead the world in understanding how all future cities should be built. 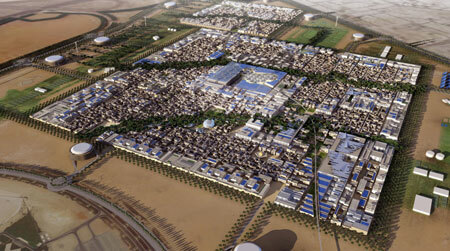 Masdar City will be built in seven years with an investment of more than 20 billion U.S. dollars. 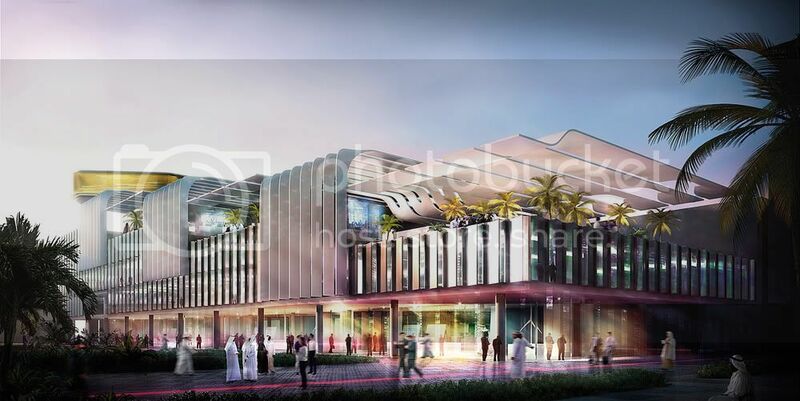 The city will be built in seven phases carefully designed, incorporating the latest technological advances generated in the clean technology cluster in the world. 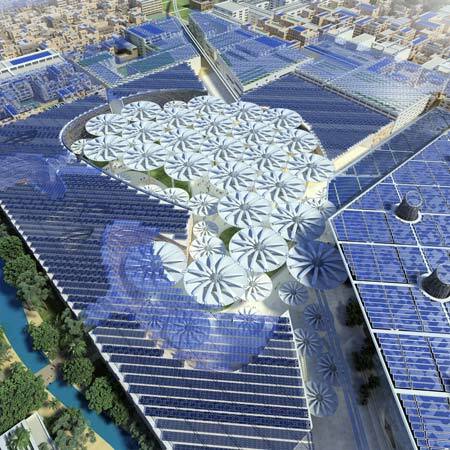 Construction of Masdar, received the construction site in their power to build a large photovoltaic array on the roof built ahead of the rest of the structure - a world first. 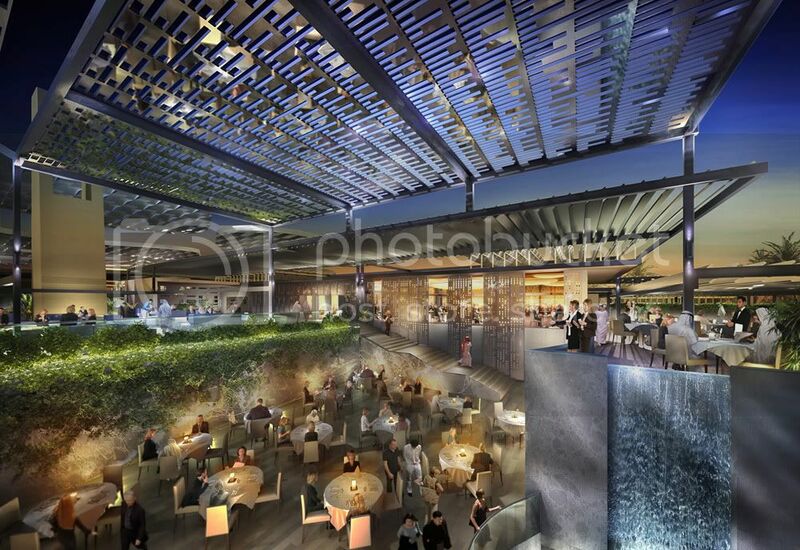 Located in the heart of the new city, the MHCC will become a focus for shopping, leisure and entertainment. 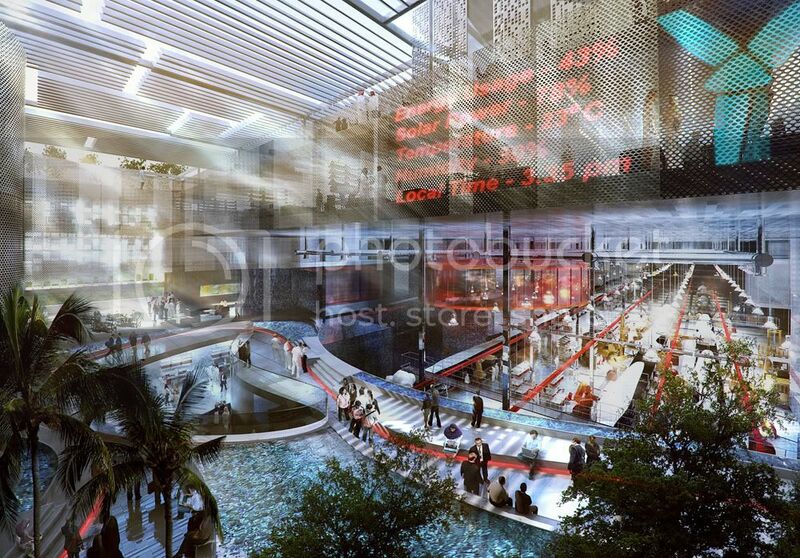 The mixed-use development will comprise a five star hotel to stay long-term serviced apartments, a conference center, a themed entertainment center, cultural facilities related to energy in the future and the whole mall with a food court and cinema. 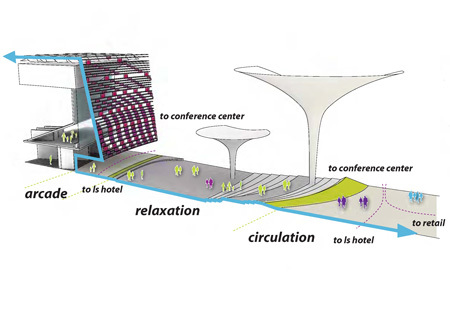 A global jury of world-renowned design and urban planning experts chose the design of the finalists LAVA. The jury consisted of: Gerard Evenden, Foster + Partners, Gill Gordon, Adrian Smith + Gordon Gill Architects, Professor Guy Chemla, Sorbonne University, and David Choi, David Choi Design. 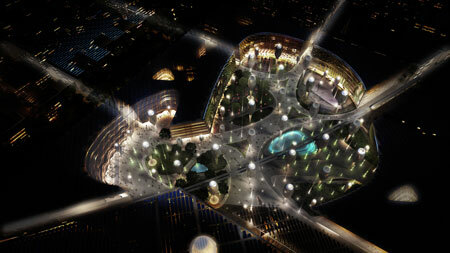 Eighteen proposals were selected from several hundred entries in December 2008 and Kohn Pedersen Fox and were more pre-selected LAVA. LAVA was announced as the winner in August 2009. 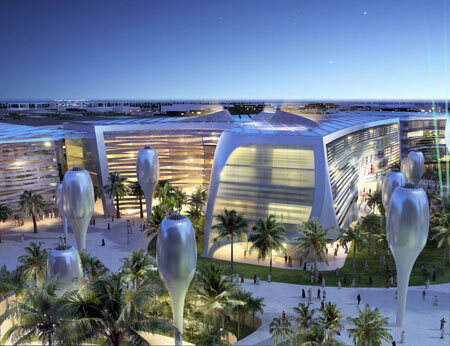 The project is intended to be a landmark of world-class innovative sustainable architecture and engineering design, exceeding the highest current standards of energy efficiency green building and waste materials technologies and integrated design thinking. 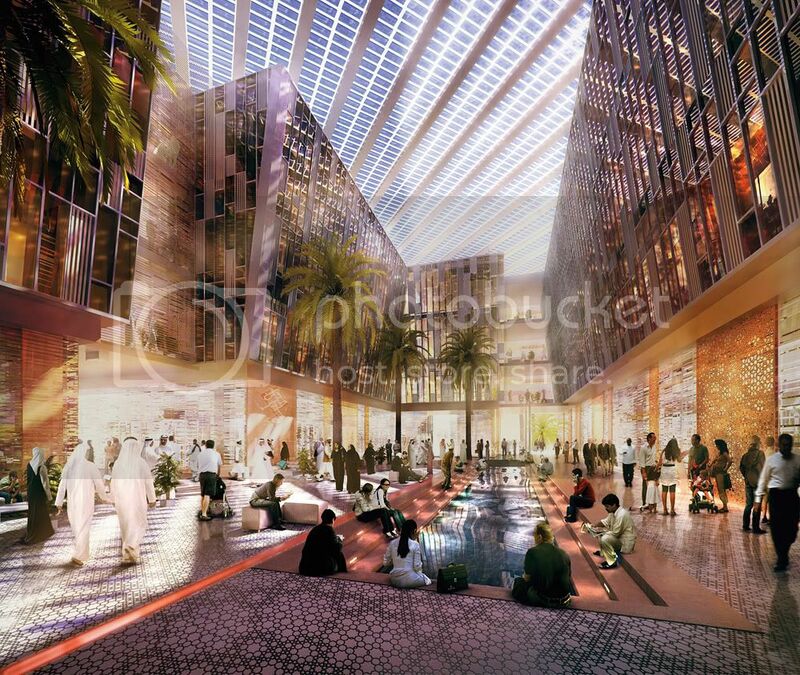 MHCC Development Project will be one of the reference structures of Masdar City. Be an example of the city's commitment to the environment and the development of innovative renewable and sustainable technologies. The highest standards of sustainable development include zero emissions, zero waste, 100% power generation through renewable energy sources, energy efficiency, and a system of paperless document management. 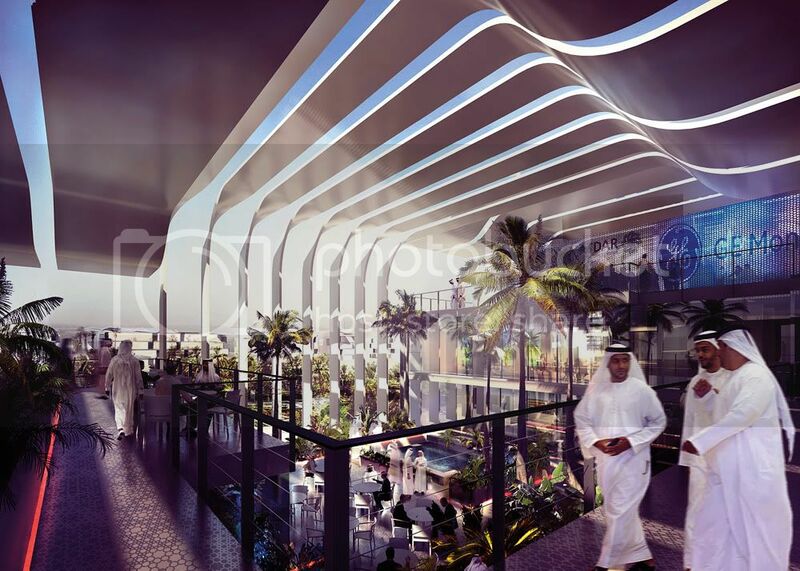 The selection criteria include the functionality of the building, water and wastewater efficiency, indoor environmental quality, zero carbon emissions, reducing carbon footprint and experience of the company. 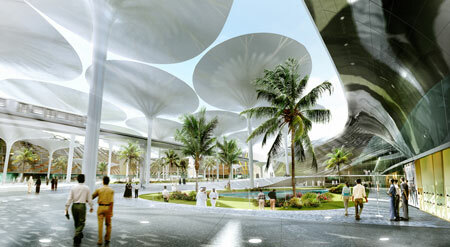 LAVA (Laboratory for Visionary Architecture) was founded in 2007 with offices in Sydney, Stuttgart and Abu Dhabi. Directors Chris Bosse, Tobias and Alexander Rieck Wallisser have been a number of projects in Germany, Australia and the United Arab Emirates 2008 saw the successful launch of the Michael Schumacher World Champion Tower an ultra-luxury residential tower in Abu Dhabi, the suite Hotel Exhibition future in Germany and the emptiness of the Greens in Australia. 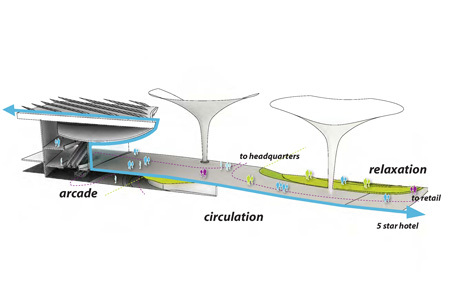 Watercube Bosse worked in Beijing Aquatics Center [Atmospheric Award at the 9th Venice Biennale] 2008, and has been recognized as an architect emerging on the world stage by the RIBA in London. Wallisser was instrumental in the recent Mercedes-Benz Museum in Stuttgart, which attracted worldwide attention for its innovative concept of space and is a professor of digital design in Stuttgart. Rieck is a senior researcher at the Fraunhofer Institute in Stuttgart and has done innovative work in the future organization office with Office 21. Masdar Eco City CenterGiant umbrella, with a design based on the principles of the sunflowers, provide moving shadow in the day, store heat during the day, and then shut to release the heat at night, in the plaza of the new eco-city in the UAE Arab Emirates.The umbrella sunflower is one of the winning design of the International Laboratory for Visionary Architecture [LAVA] to the heart of Masdar City in UAE - the first city with zero carbon emissions in the world, and waste feed urban renewable energy sources.Masdar City is located 17 kilometers from Abu Dhabi. 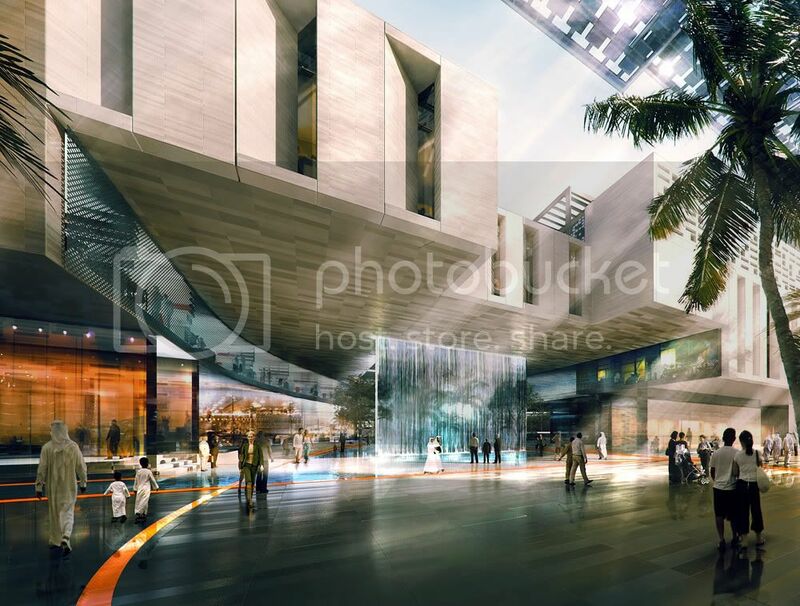 A inicitiva the government, which is being constructed in 7 phases and will be completed in 2016The design for the downtown, now revealed, including a square, five-star hotel, a hotel for longer stays, a convention center, entertainment complexes and shops. LAVA, a firm only two years, the design won an international competition against hundreds of competitors and strong competition from some of the most high-profile architects in the world. 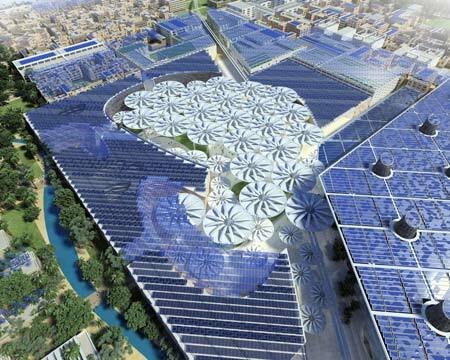 The founder Chris Bosse, said: "Masdar is the world's most prestigious project, focusing on sustainable energy design. 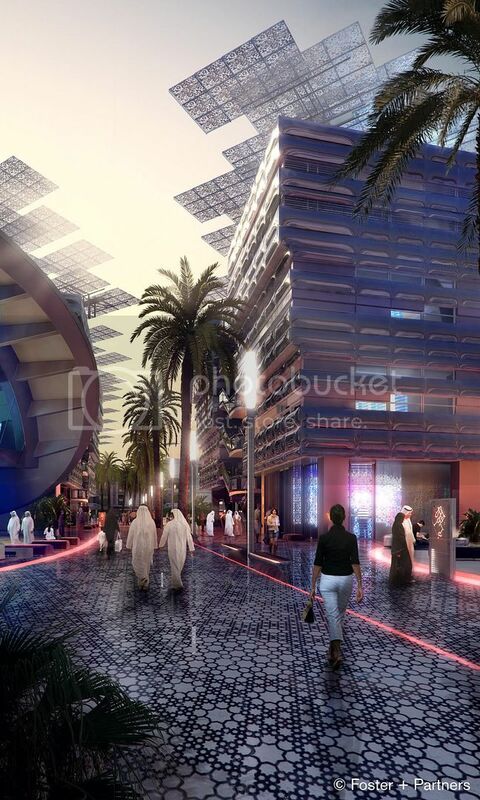 It is the city's future and a global benchmark for sustainable urban development. 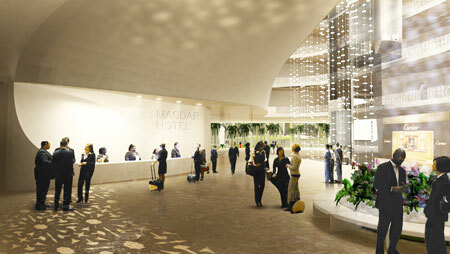 We believe in the motto of Masdar" A day all cities will be like this'. "The 'umbrella sunflower captures the sun during the day, At night closes and releases the stored heat, and then reopen the next day.They are the projection of the sun to provide continuous shade during the day and can be used anywhere in the world, including deserts, Bosse said.